How can my employees clock in without a scheduled shift? Premium accounts can now allow their employees to clock in without a scheduled shift. Please note: if they have a shift scheduled, they will only have the option to clock in for the scheduled shift. 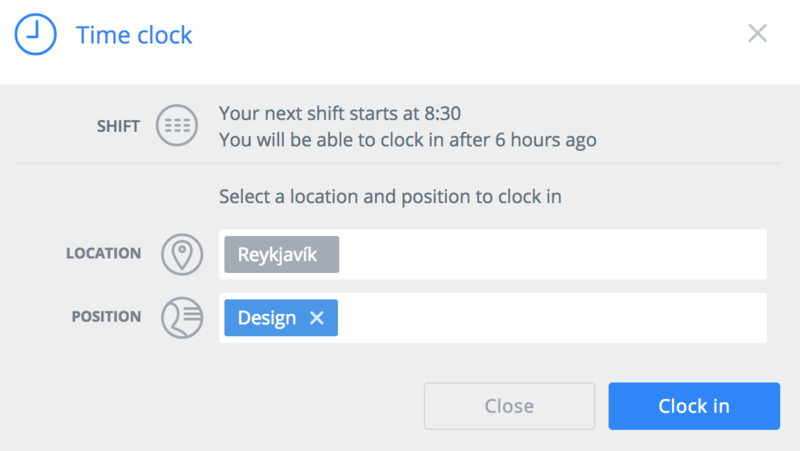 Once the setting is enabled, your employees will be able to clock in without a shift in the app and on the web. When they clock in without a shift, they will be asked to choose the location and position for their shift. This means that your employees are only able to create a clock in event for locations and positions assigned to their own profile.